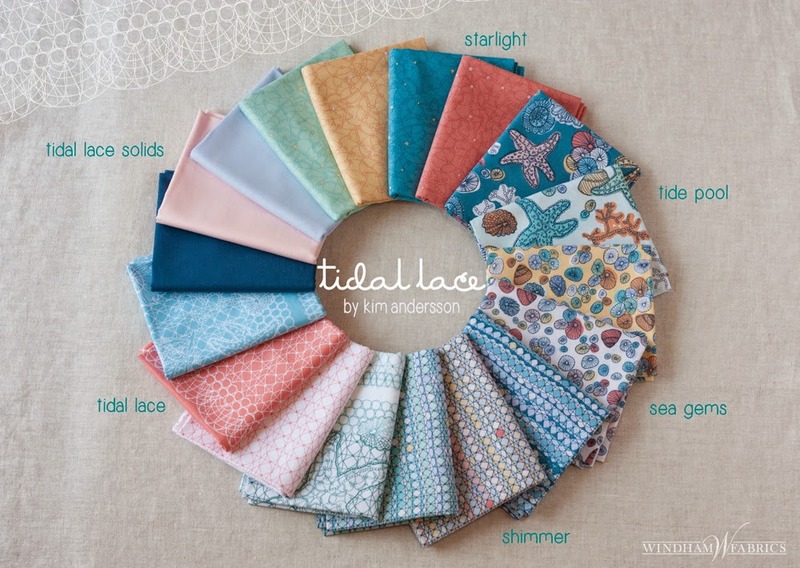 Tidal Lace is the debut fabric line by my friend Kim Andersson for Windham Fabrics. It's a combination of hand drawn lace inspired prints and wee little tide pool creatures like anemones, limpets and sea stars. The color palette has a fresh vintage, seaside feel to it, which I love. Shimmer is my absolute favorite print. It comes in three different colors and it is so versatile. The hand drawn lines are killer and the variation of color would add a lot of interest and movement to any patchwork project. Check out this post post on Kim's blog where she talks about her inspiration for each print. Going with the sea theme, I designed a new quilt called, Happy Kelp. I grew up in a small beach town with excellent tide pools and this collection feels like a little piece of home. I wanted a playful motif that would highlight all of the different prints in the fabric line. Colors were placed to give a scrappy, patchwork feel to the otherwise very structured composition. Happy Kelp was inspired by the Kelp Forest exhibit at the Monterey Bay Aquarium. Each quilt block is pieced using simple curves. Fabric placement makes the kelp leaves pop right off the watery background. I quilted the background with an all over meandering pattern to enhance the watery feel and add a great crinkly texture after washing. The kelp is the star of the show and to help it stand out even more from the background, I outlined each leaf using my free-motion foot. 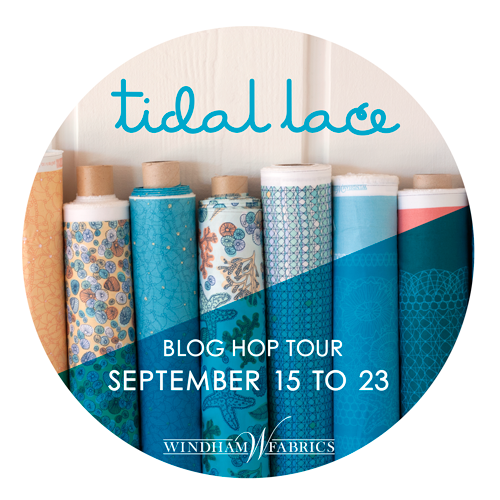 Windham Fabrics is giving away a fat quarter bundle of Tidal Lace to one lucky reader! To enter please leave one comment below telling me what you'd like to make. I will randomly select one winner on Wednesday September 24th, 2014. International entries are welcome. The winner will be announced in this post and contacted via email. Good luck everyone!! Oh beautiful quilt! Loove it. I would like to make a quilt too. Thinking of some zig zag, but not sure. I'd love to make a picnic quilt - maybe Happy Kelp?? I would like to make a lap quilt for my living room. I live a long way from the ocean, but this fabric brings a little seaside to the Midwest! 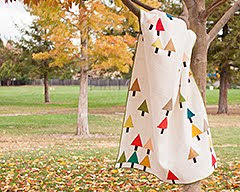 This is such a pretty fabric line... Fresh and soft! I would make a lap quilt to snuggle under year round!! 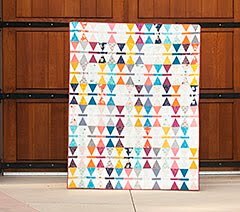 Your quilt is gorgeous and just might be the challenge for me! Thank you for a great giveaway, I love the colours of this range. I would happily make some cushions and pouches with the fabric. Beautiful fabric. I would love to make a double wedding ring quilt. Wonderful give away, thank you. Your quilt is striking - love it! and that lace fabric ... yes, I'll be needing some of that! I would love to make a lightweight summer throw with those beautiful fabrics. I love your happy kelp quilt. Monterey is my favorite aquarium. What a beautiful collection of prints and what a stunning quilt!!!! Just stunning!!! Your quilt is beautiful as is this fabric line. I would love to make a plus quilt with it. Thanks for opportunity to enter giveaway. I would like to make a picnic quilt with it ready for picnics at the seaside next summer. Beautiful and inventive quilt! I really like this fabric line. I'd make a quilt for me! Thanks for the chance! I would love to make a baby quilt for the newest member of our family, a grand daughter born in Kyoto, Japan a month ago. The fabric has a delicate look, especially the "lace" patterns! I am thinking some pillows for my daughters bed, I am working on a quilt for her using nautical fabrics and this would look fantastic with it! What an inspired use of these beautiful fabrics--great job! I would make a quilt for an impending grandchild. As a diver, I'd love a quilt using these prints! This is lovely. I see seagulls in the kelp shapes too. 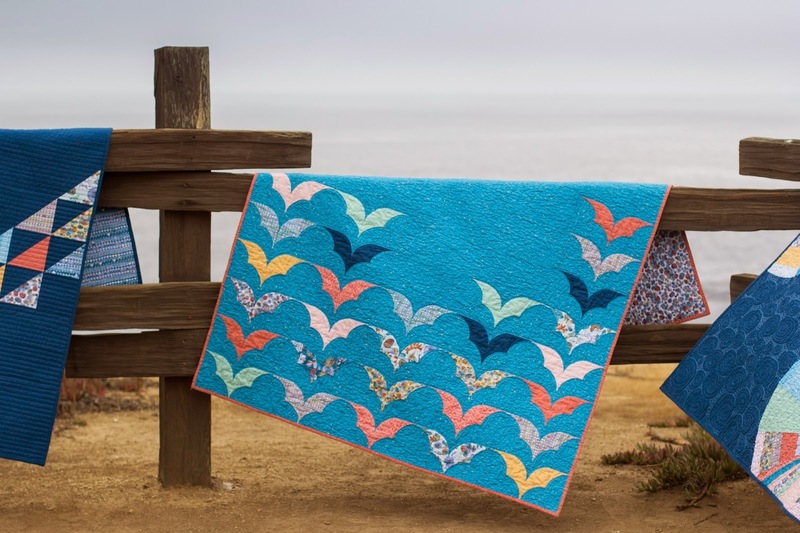 I think I'd have to make a cozy quilt for a little girl just born in a CA seaside town. I love your quilt! It reminds me of Maine. 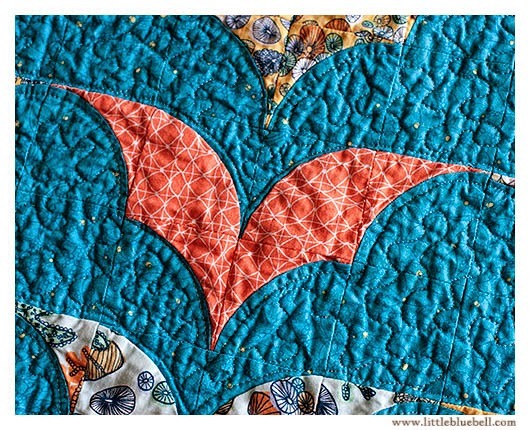 I also see bats and it would make a great Halloween quilt. I would use the fabric to make a welcome to the world quilt for a friend who just had a baby boy. HELLO, oh I'd love to make a new bed quilt for sure! L.O.V.E. it! Shimmer is my favorite print, too. I want to make a dress (for myself) using Shimmer. 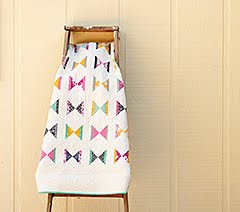 With the FQ bundle I'd make a beach quilt and some tote bags. If I won I would love to make 2 baby quilts - one for my sister's second baby and one for my friend's first baby, both are due very soon and I can't wait to meet them! Amazing quilting! I would make some floor pillows, we desperately need some! I would love to make a beautiful quilt with it! Such amazing colors!!! I'd love to make a throw sized quilt. Beautiful designs and colors, needs another beautiful quilt. Yours is gorgeous. Thanks. i'd love to use this line to make pillows for our small island home. I would like to make a quilt for my grandson. A sea quilt would be what I would make! thanks! A quilt for sure. This fabric looks so pretty! Love, Love, Love this fabric collection. I can envision a quilt for one of my daughters being made out of it and a purse with the scraps! Such a pretty line! I'm envisioning a patchwork bag made from these beauties. I would make a quilt for a waiting family member. I love the color palette and fabric designs in this collection. I really like your quilt design., Thanks for the inspiration. Your interpretation of kelp is just beautiful! 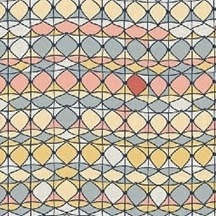 I'd love to make a Metro Rings quilt with these fabrics, or a Sew Together bag. Thanks for the chance to win! 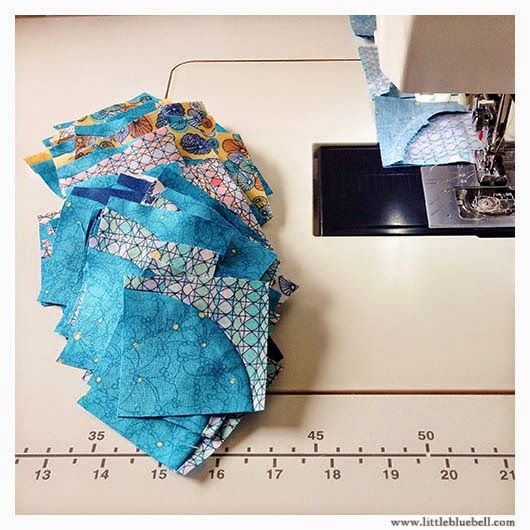 A sea quilt would be so beautiful in these fabrics! I can see some stars surrounded by the more solid fabrics. Your quilt is lovely! I see quilts, lots of them being made out of this beautiful fabric. Your quilt is beautiful! Thanks for sharing it! I'd love to make a huge picnic quilt to take to the beach. Very appropriate I think! I would love to make a quilt and and a beach ball shaped pillow! Thanks so much! I would love to make a quilt with these beautiful fabrics. Your Happy Kelp quilt is lovely! Thanks for the chance to win. Those soft colors would make a beautiful Weekender Bag! I'm in the mood to make another one...eventually! I'm sure glad I read your post and to find out you titled your quilt Happy Kelp. I guess I haven't really had the opporunity to have a close-up look at kelp! 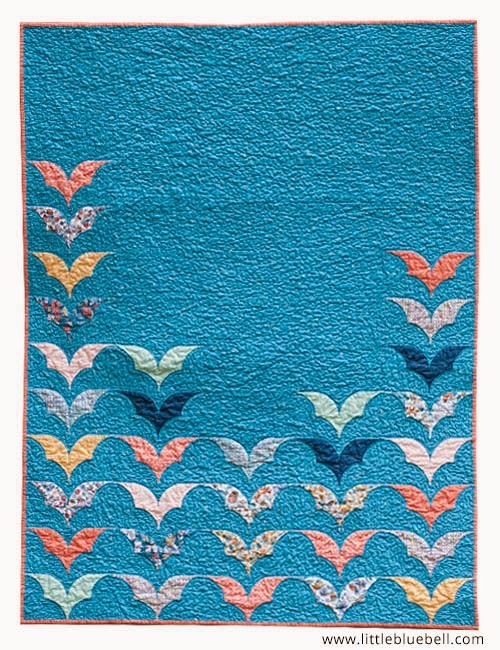 When I first saw your quilt it reminded me of seagulls flying! Oh, well, I guess we each see things differently! Nevertheless, I LOVE it and it would be perfect for life near the beach which we will be embarking on soon. Thanks for sharing. I'd love to make a quilt for picnics on the beach, I love the ocean .. and these prints inspire! I would make a quilt for my living room or maybe a wallhanging. Thanks got the giveaway. I'd like to make a quilt for my friends who have a house at the beach. 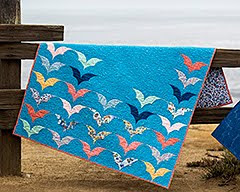 Well, at first I was thinking sailboats on a beach quilt, but after seeing your design, I am thinking a beach background with seagulls going up and across, lots of possibilities. Beautiful quilting, A new beach bag would be great! I would make some beautiful bags! Thanks! I would love to make the Sea Star pillows on Kim's Look Book. They are so fun! Love your quilt, it's beautiful! 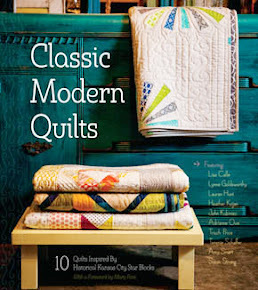 Would love to make a baby quilt with this collection. Thanks for the chance! This fabric is just beautiful! I would love to make some little girl dresses and matching bags. would need a beach blanket/picnic spread so a quilt's in order. I've never done curved piecing and you seem to make it so easy and in Happy Kelp quilt. Hope to see the pattern soon...:) Thank you for sharing the bundle that is so generous. A summer-weight quilt would be perfect for this fabric bundle. Thanks for the giveaway opportunity. I have a new little niece and I'd love to make her a beach blanket, to take on her very first beach outings. A summer tote with a beach-size quilt would be totally wonderful! Thanks for the chance! I'd make a quilt with pillows with these lovely fabrics. 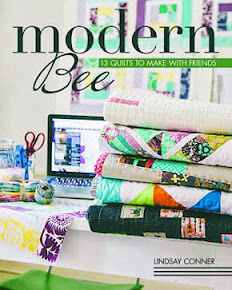 So many good ideas on this blog hop! I really want to make some of those cute starfish pillows like Kim made, probably with some fun trim like hers too! I would make some giveaway baby quilts. I want to make a floor cushion! And lots of other things too!! I like your quilt, the choices you made and the explanation.......I love to know how people thought out what they do when they design their quilts. This fabric will be great in anything it is used for...........how about a baby quilt............fun motifs to spy as they grow. I would make a quilt to wrap my "away"daughter who is studying ocean chemistry.